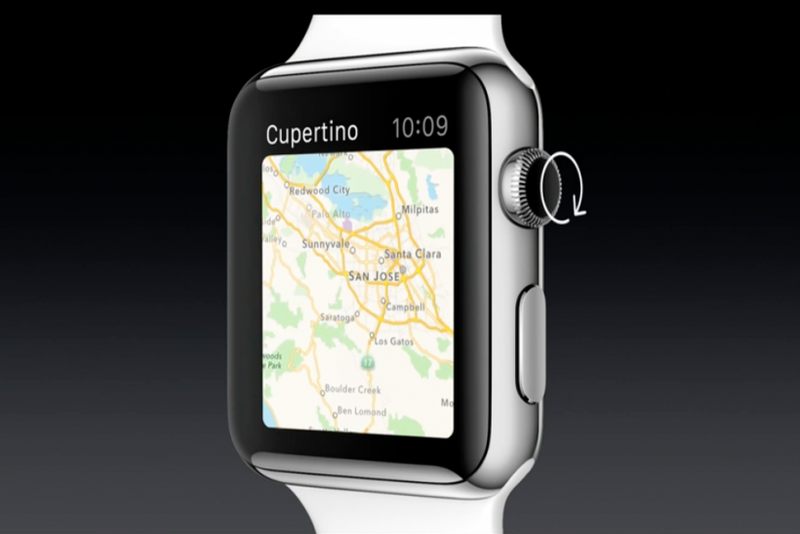 The Apple Watch features apps from Cupertino as well as third parties. Shown is Apple Maps. Photo: Apple Inc. 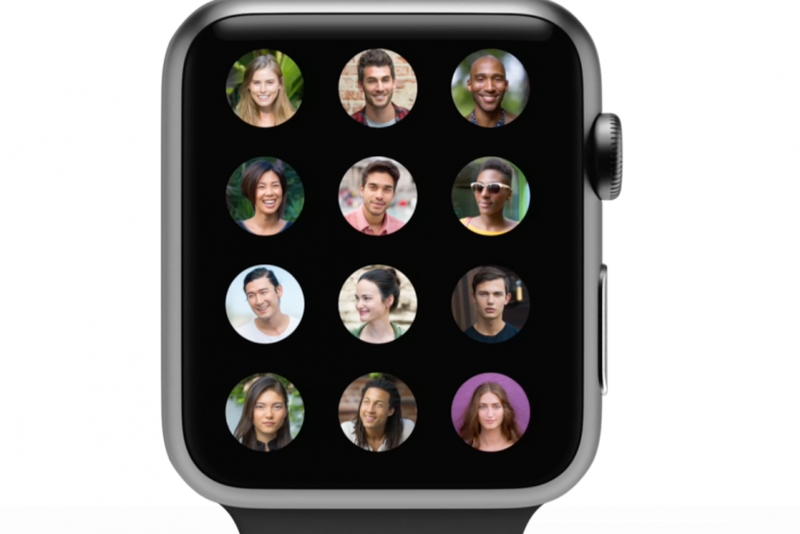 The Apple Watch features apps from Cupertino as well as third parties. 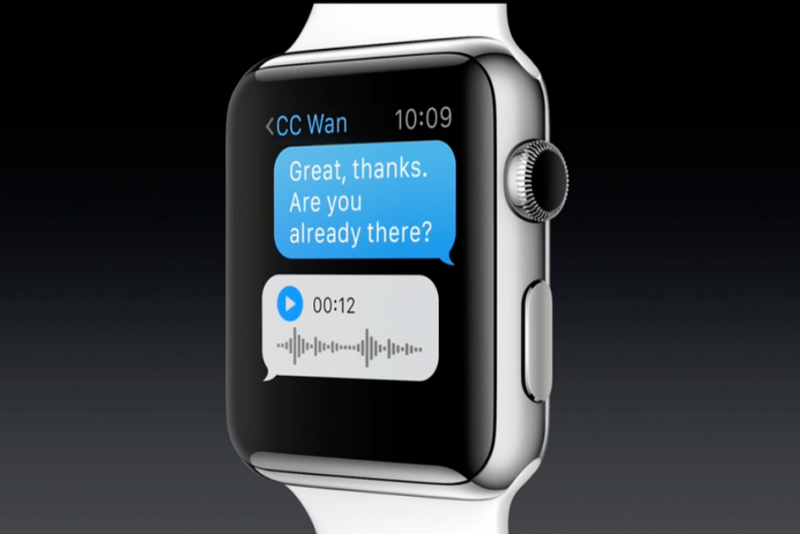 Shown is Smart Replies, which uses voice-to-text dictation to send SMS messages. Photo: Apple Inc. 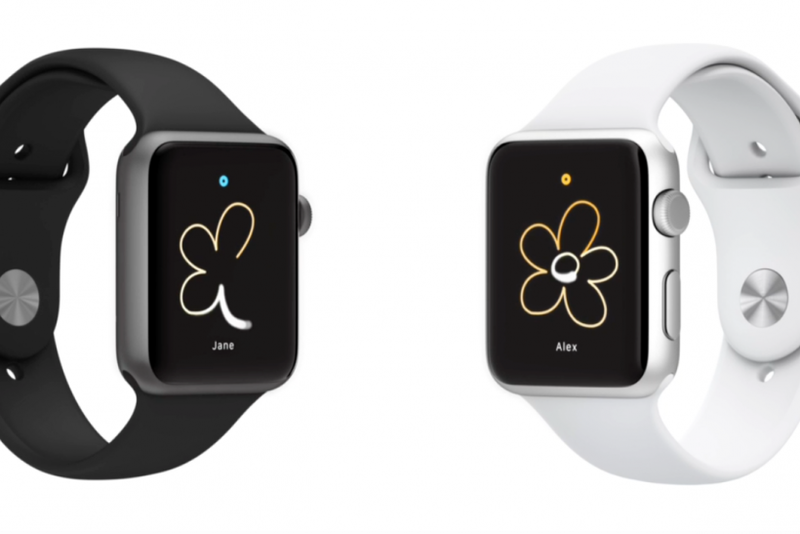 The Apple Watch features apps from Cupertino as well as third parties. Photo: Apple Inc.
Apple Inc. (NASDAQ:AAPL) is making a number of cool apps for its Watch, like Passbook, Siri and Smart Reply. But, like the iPhone itself, the gadget's fate will be determined by the extent to which it's embraced by hot, third-party developers. In that regard, Apple Watch is off to a good start. The initial lineup of partners that plan to release apps in time for the device's spring 2015 launch is solid. Apple Watch can tell the difference between a light “tap” and a harder “force touch,” CEO Tim Cook said Tuesday, and it also features a “digital crown,” a dial on its side that works like the iPhone and iPad’s home button. Facebook Inc. (NASDAQ:FB) will have one of the first apps for the Apple Watch. Users can scroll through news feeds with the digital crown, though Apple did not say whether they could also post status updates. 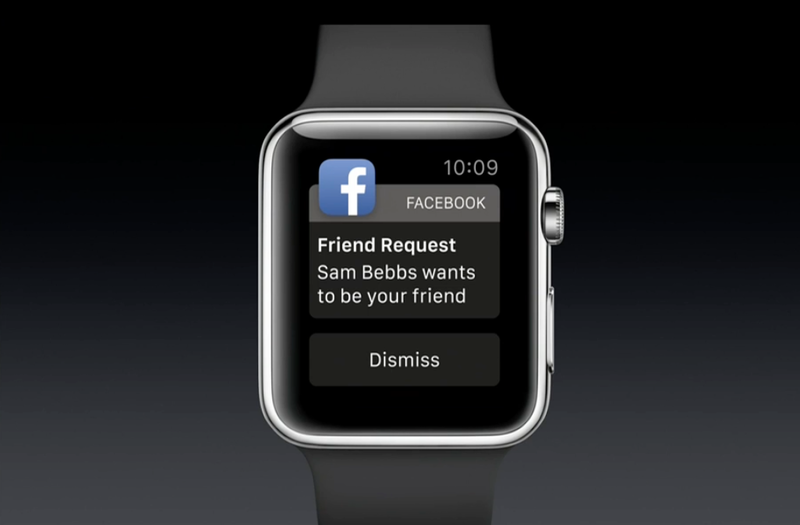 The Apple Watch will feature a Facebook app when its released next spring. Photo: Apple Inc.
Twitter Inc. (NASDAQ:TWTR) developed an app that allows users to see tweets in addition to a full background image, such as that of their favorite tech reporter’s profile. 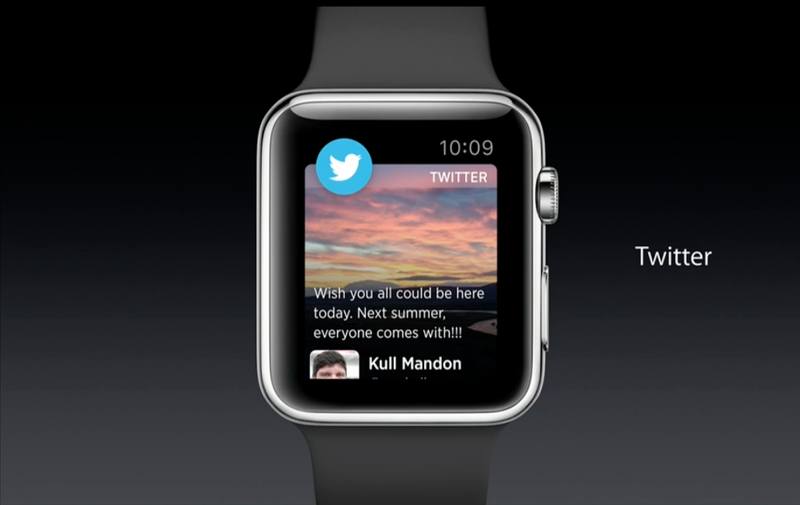 On the Apple Watch, the Twitter app will be able to favorite, retweet and dismiss the 140-character messages. 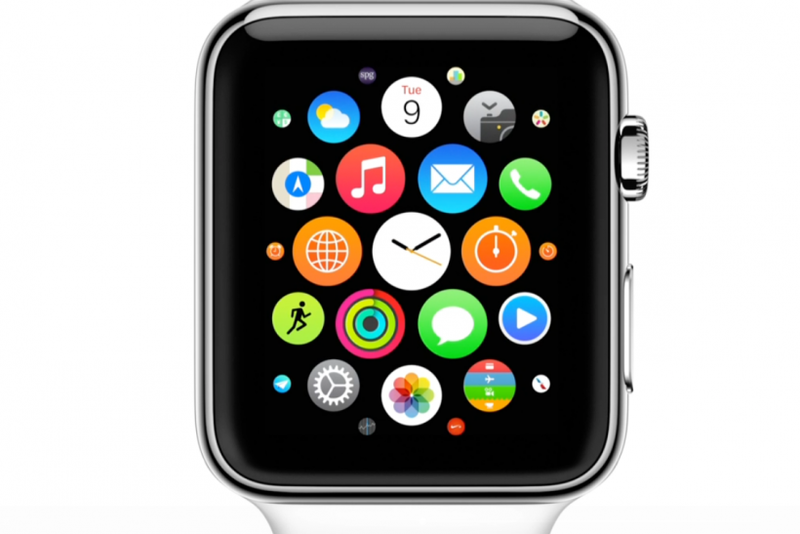 The Apple Watch features a Twitter app that shows a full background image overlaid with the user's tweet. Photo: Apple Inc.
City Mapper’s app stores information about mass transit, including subways, trains and buses. The self-described “ultimate transit app” can also remind Apple Watch wearers to get off when they have reached their stops, using location information from the iPhone’s GPS. 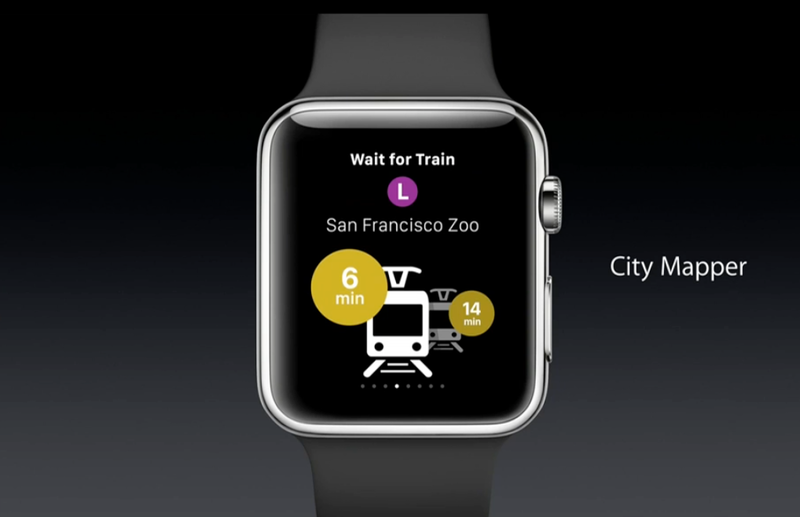 The City Mapper app for the Apple Watch features notifications for when you arrive at your destination, schedules and directions to train and bus stops. 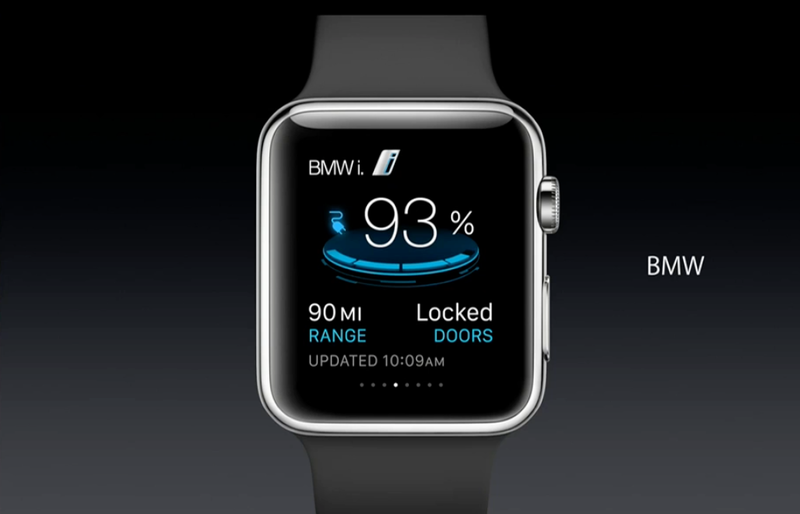 Photo: Apple Inc.
German automaker BMW has an app that allows Apple Watch users to see how much charge is left in their electric vehicles, and can also help navigate them to their car. Tesla Motors (NASDAQ:TSLA) seems to have missed the boat on the Apple keynote. A BMW app for Apple Watch will allow owners of the manufacturer's electric vehicles to see what percentage of battery life remains. Photo: Apple Inc. 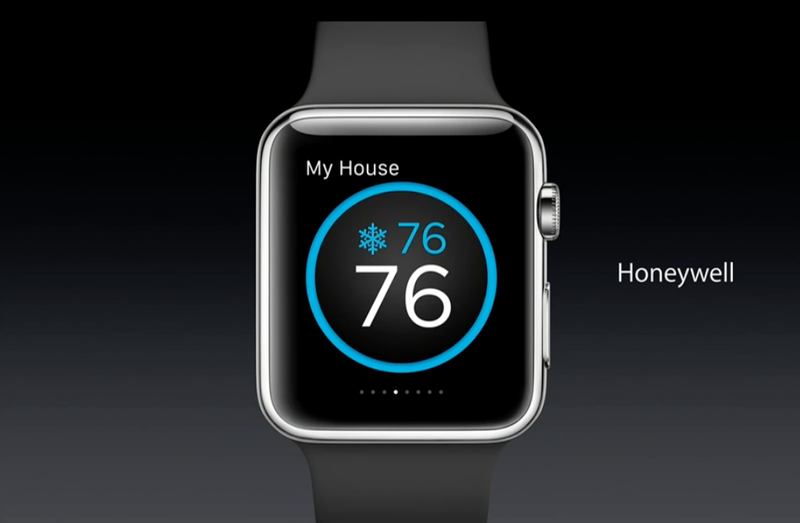 The Honeywell app for the Watch will allow those who own the company’s thermostats to change their home temperature from their wrist. Google Inc.’s (NASDAQ:GOOGL) competing Android Wear platform also allows smart watches to control their Nest thermostats, which the search giant itself owns. Just set it and forget it. Your temperature, that is. For your house. On the Honeywell app for Apple Watch. Photo: Apple Inc.
As far as smart home’s go, lighting switch and dimmer manufacturer Lutron released an Apple Watch app that allows users to control their lights. 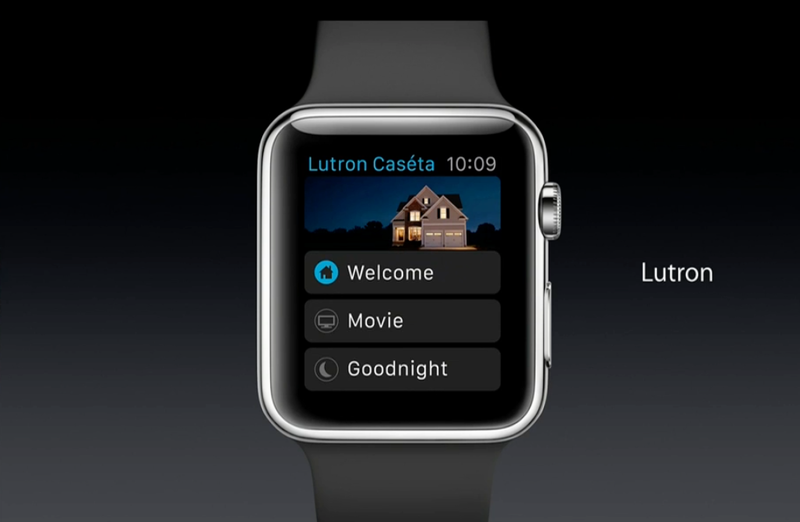 The Lutron app can control your home's lighting via the Apple Watch. Photo: Apple Inc. While Apple’s own fitness and health apps will monitor and suggest fitness goals, and offer gamified rewards in the form of badges, the Watch will also share fitness data with third parties like Nike. The shoe giant’s app lets Apple Watch owners challenge their friends to a race, and see how far they have traveled. 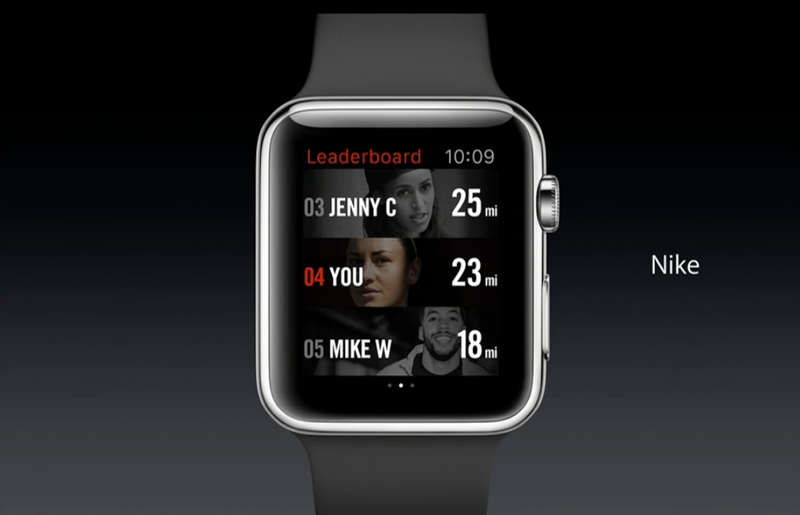 The Nike app for Apple Watch features the ability to challenge friends and track your run. 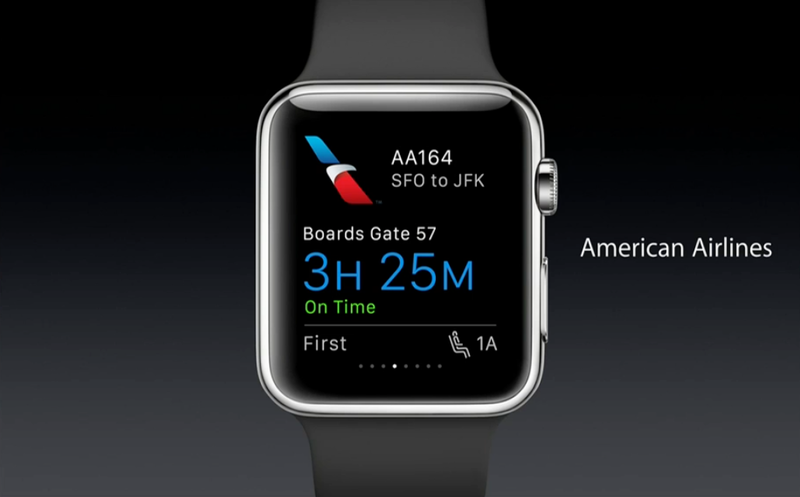 Photo: Apple Inc.
American Airlines Inc. (NASDAQ:AAL) created an Apple Watch app that works by touch, helping passengers check-in to flights. It also lets them collect their bags. The American Airlines app lets you know how much time until your plane starts boarding. 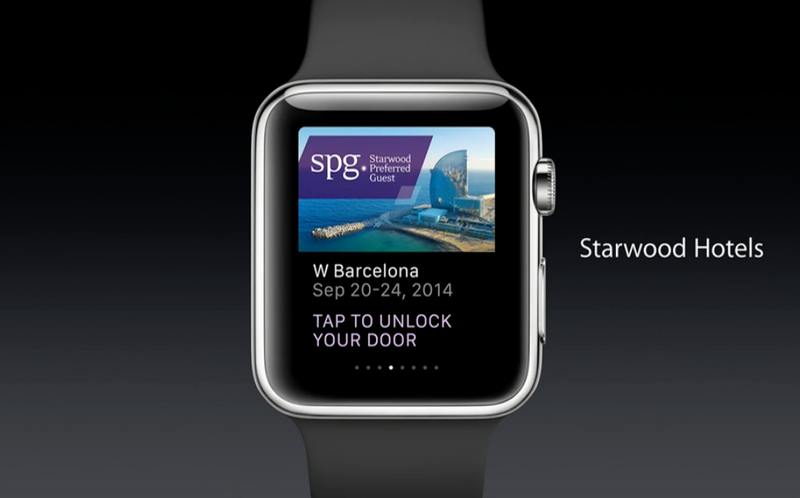 Photo: Apple Inc.
Starwood Hotels, which also owns W Hotels, created an Apple Watch app that allows wearers to unlock their hotel room door by waiving their Watch in front of it. When this feature was unveiled at the keynote, the crowd cheered, and we can imagine why. Have you ever tried to swipe a keycard while carrying your luggage? Opening your hotel room door with a waive of your wrist? There's an app for that. Photo: Apple Inc.
Major League Baseball was the sole sport to announce an Apple Watch app that would provide real-time scores. Here’s hoping the NFL, or ESPN for that matter, get to work by next spring. 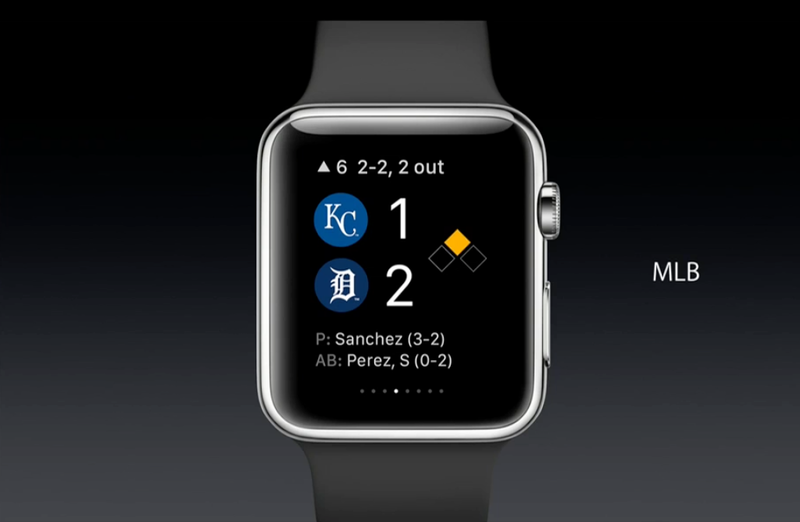 Live baseball scores are featured in the MLB app for Apple Watch. Photo: Apple Inc.
Pinterest, the digital scrapbooking site, developed an Apple Watch app that’s able to remind you when you’re near a “pinned” site, and also give walking directions to it. Apple did not say whether users would be able to “pin” images or other content from the Watch app. 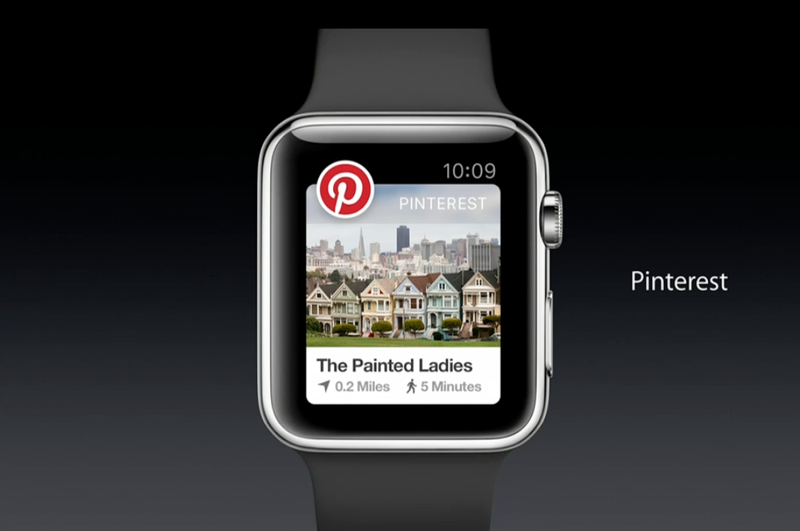 The Pinterest app for Apple Watch will remind you if you're near a place you've previously pinned. If you're into that sort of thing. Photo: Apple Inc.